Home  Are Ticketmaster customers getting stiffed again? Last weekend, approximately 50 million customers received email notifications of free tickets and discount codes. But In today's news, just a few short days after the notifications were sent, Ticketmaster fans are already outraged over the limited events being offered to settle the claim according to the New York Daily News. Is this a big surprise? Ticketmaster stands to make some money off this deal because it will inspire customers to take advantage of the coupon codes if they have any events they want to go to in their area, and most likely, because the pickings will be slim due to a limited distribution of venues, the amount of codes not being used are bound to not be used. Sounds a bit shady to me. OK, so you may be entitled to some discounts from a Class Action Settlement if you bought tickets from between October 21, 1999 and February 27, 2013 due to a lawsuit filed by five Ticketmaster customers who claimed that order processing fees and UPS expedited delivery prices were both deceptive and excessive. But are the terms of the settlement also deceptive? That means if you are a US citizen and purchased tickets through Ticketmaster's website during that time frame, never received a refund for the above stated fees and if you didn't opt out of the class action suit, you are considered a “Class Member” and are entitled to credit codes for your Ticketmaster purchases. Plus, if you were a “UPS Subclass Member” it appears you will gain credit codes for UPS deliveries, also applied to your online account. Even though you may have gotten bent over the barrel when you made previous purchases and were overcharged through fees and shipping costs, at least you got to choose the event you wanted to get reamed for. Don’t be misled, you will not be able to use the codes on all events in your area. Under the terms of the settlement, Ticketmaster must provide tickets across a variety of event types that take place at an ‘undetermined’ number of Live Nation owned and operated venues. If the list of events does not include an event in your area, you need to check back because new events will be added during the four years they have to settle the case with it’s customers. When the lawsuit was first filed over a decade ago and throughout proceedings Ticketmaster denied the plaintiff’s claims. 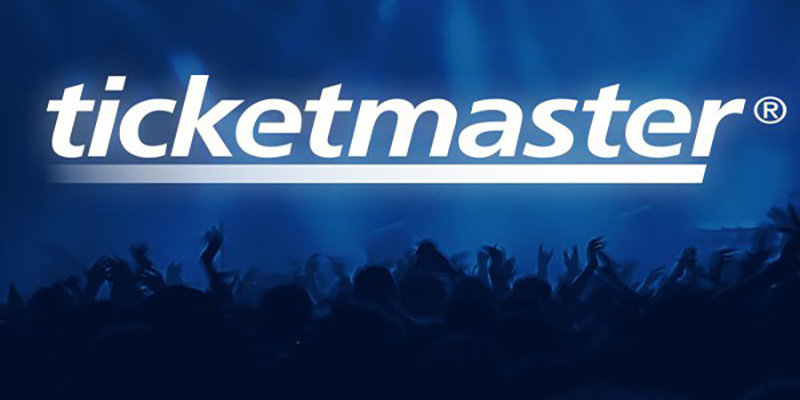 According to billboard, “the lawsuit was originally filed in 2003, when Ticketmaster was part of IAC/InterActive Corp. Live Nation bought the ticketing firm for $2.5 billion in 2009.” The judge in the case, Kenneth R. Freeman, ruled that customers had indeed been taken advantage of several years ago and Ticketmaster was given time to settle. Let’s hope Ticketmaster steps up and offers decent venues in the four years to come. Otherwise, they will have to settle the rest of the $386 million by offering free tickets to these customers. With that said, ticketsandbadges.com wishes everyone luck in getting the satisfaction they deserve. No one deserves to be over paying for their entertainment! You can find your vouchers under the My Vouchers link in your online Ticketmaster account found at https://www.ticketmaster.com/member/vouchers. Find the list of events selected by Live Nation here: http://concerts.livenation.com/microsite/settlement. If you do not receive the discount codes you are entitled to, you can download this form to dispute it: http://www.ticketfeelitigation.com/docs/Dispute-form.pdf - Send it to the address that appears in the top left corner of the form.